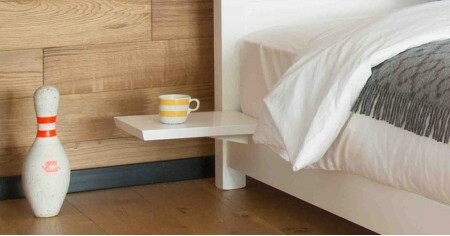 Enhance your bed with these useful matching handcrafted accessories. Our bespoke handmade Chelsea Bed frame is beautifully handcrafted by our team of expert and experienced carpenters. 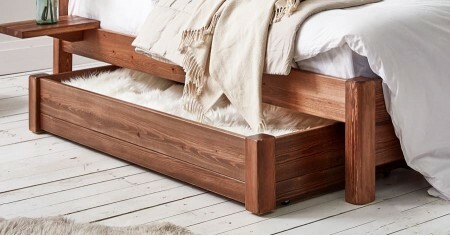 They have gone above and beyond in creating this luxurious and stylish addition to our range of wood bed frames. 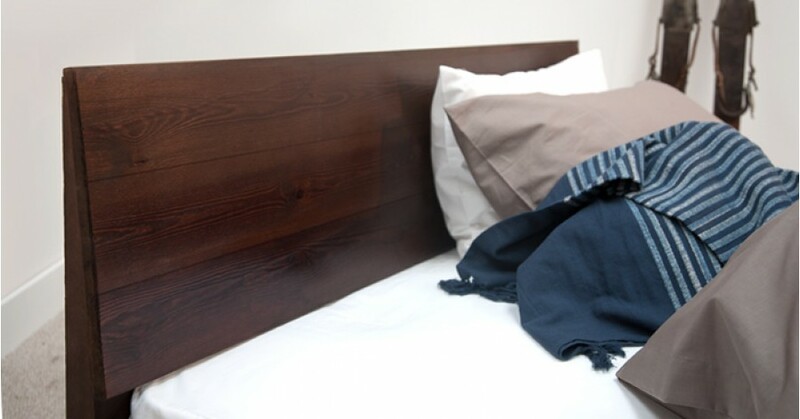 The wood Chelsea Bed is one of the newest additions to our platform bed range. 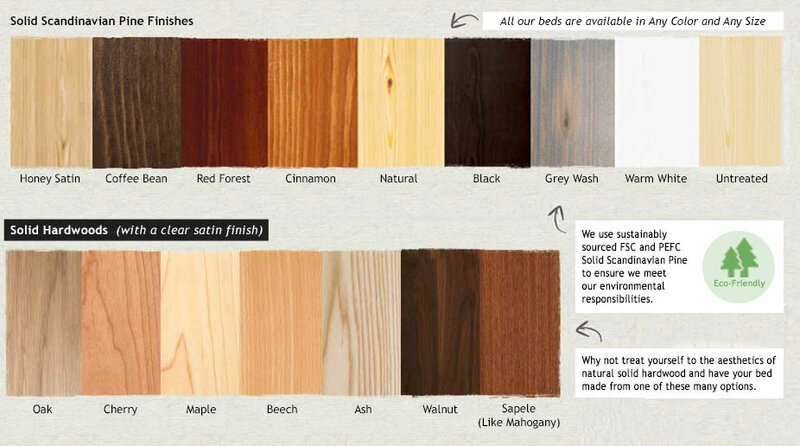 What Makes The Chelsea Bed Unique? 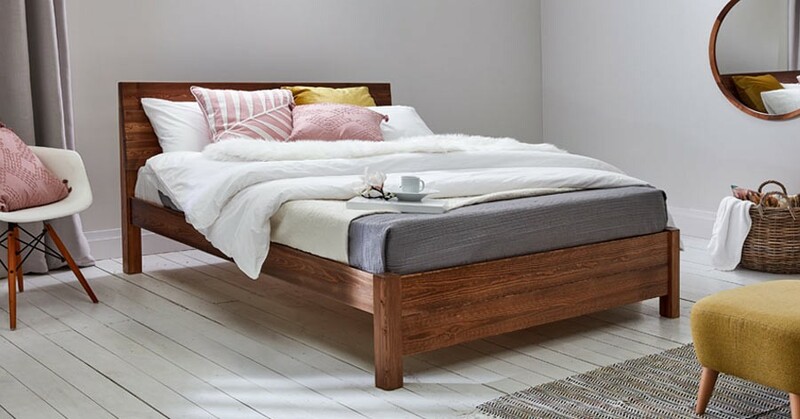 The wood Chelsea Bed frame is modern, sleek and traditional. 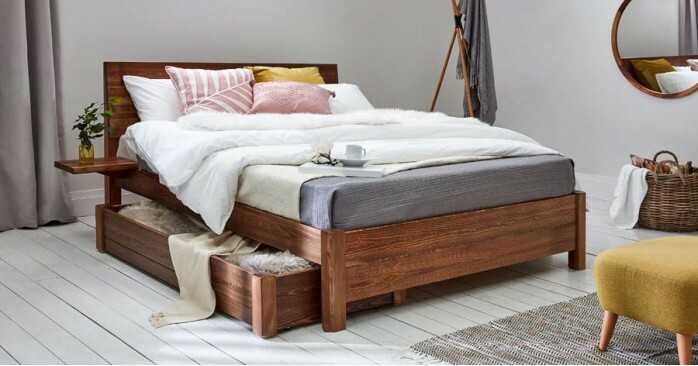 The Chelsea Wood Bed frame features a large slanted headboard that is designed to provide maximum comfort and support, especially if you enjoy reading or watching TV in bed. The Chelsea is a fantastic choice for master bedrooms thanks to its solid wood bed design and sophisticated appearance. It can also help to transform a guest bedroom by helping to make your guest room more appealing to your guests. The wood bed frame was designed by incorporating class, finesse and a combination of modern design with the stylish traditional features of classic wood beds. 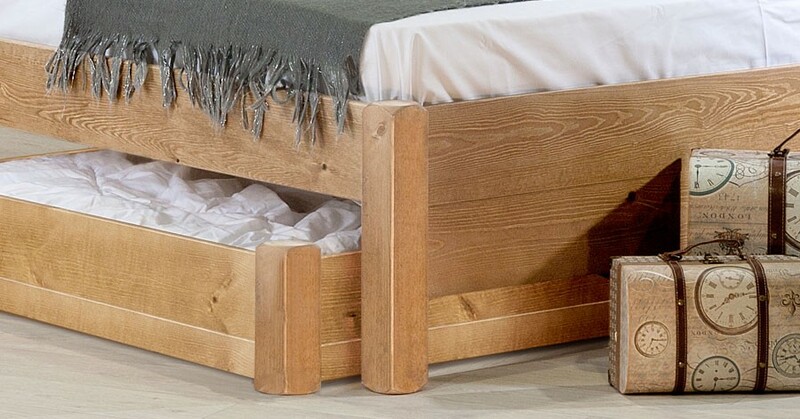 The Chelsea Wood Bed frame is one of our many platform bed designs. 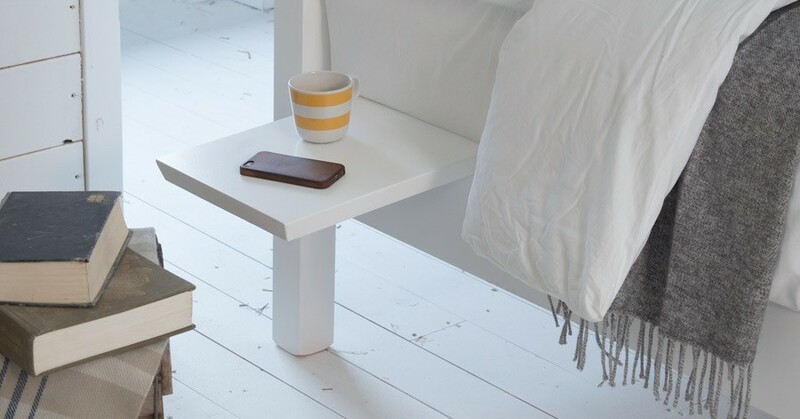 It's available in a variety of finishes including a choice of Solid Scandinavian Pine finishes or Solid Hardwoods. You’ll be sure to find a great range of colours to match with your bedroom decor. 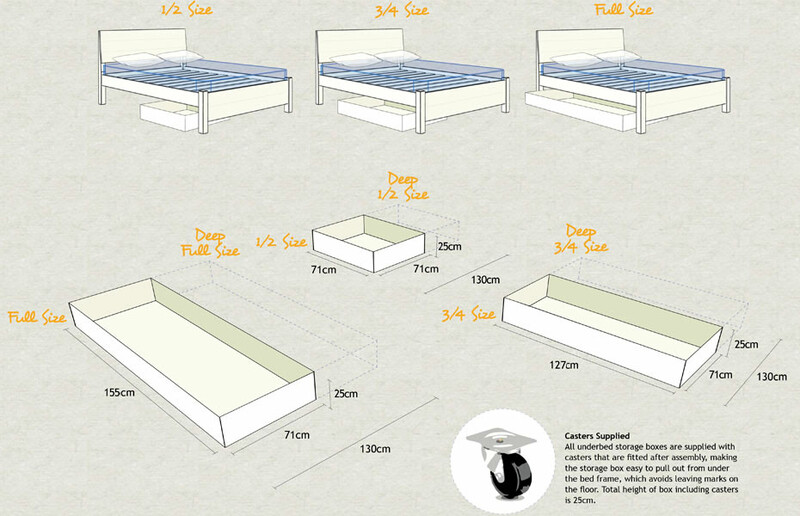 The wood bed frame is available in a full array of standard sizes. If you require specific adjustments or would like to customise the bed for a particular purpose you have in mind, you can phone us and we’ll happily make your Chelsea Bed to suit your exact requirements and needs. 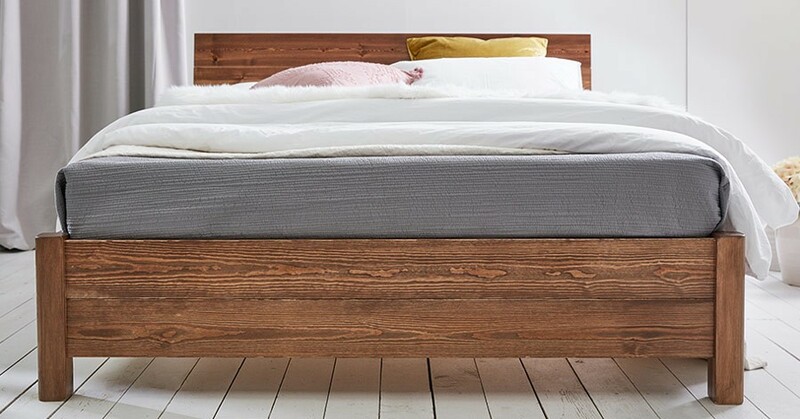 If you like the design of our Chelsea Bed, but would prefer a different combination of features and finesse, then maybe you would prefer our Cambridge Bed frame. This design features a very stylish headboard, making for an excellent alternative. Alternatively, you can also view the original inspiration for the design by taking a look at the popular London Bed Frame. Please note: Bedding is not included with the wooden bed frame. This can be purchased separately.